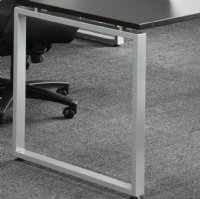 Loop Riser for Elements Series desk. Comes in silver or white finish. 30x8h, requires support beam.